Leading Wholesale Trader of bicalutamide tablets, veenat 100 mg and 400 mg ., letrozole tablet, leuprolide acetate and methotrexate tablets from Nagpur. Leveraging over the skills of our qualified team of professionals, we are involved in offering superb quality assortment of Imatinib Tablets. 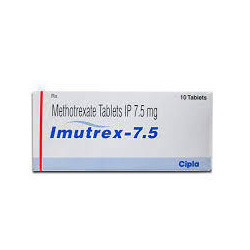 These Imatinib Tablets are highly appreciated amongst customers for their no side effects and accurate composition. 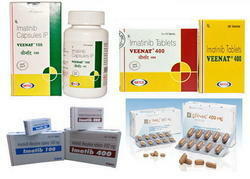 Our product range is used to treat certain types of leukemia. 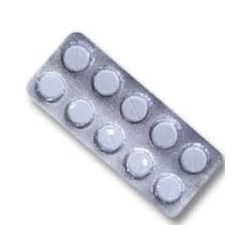 Our organization offers an effective range of Letrozole Tablet. Offered medicine is used to treat certain types of breast cancers such as hormone-receptor-positive breast cancer in women after menopause. Also, it is used to help prevent the cancer from returning. This medicine decreases the amount of estrogen the body makes and helps to slow or reverse the growth of breast cancers. 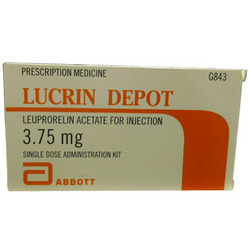 We are actively engaged in processing, exporting and supplying optimum quality Leuprolide Acetate For Injection that acts as an agonist at pituitary GnRH receptors. This injection is formulated at our advanced production unit utilizing high grade ingredients with the help of modern formulation techniques. Provided injection is available in 3.75 mg packaging options and can be availed at industry leading prices. Looking for Letrozole Tablet ?